University of Illinois aerospace engineering professor Scott R. White, an innovator of self-healing and self-regulating materials, died on May 28, 2018 of cancer. He was 55. White was recognized globally as an expert in autonomous materials – materials that can adapt or respond on their own. His research group at the Beckman Institute for Advanced Science and Technology at the U. of I. developed self-healing plastics, electronics, batteries and coatings; coatings and materials that indicate when they are damaged or strained; self-destructing devices to reduce electronic waste; and many other innovations to make materials safer and more reliable on both the micro and macro scale. White developed several types of self-healing and adaptive materials. For example, he designed materials embedded with microcapsules that rupture when cracked or damaged, filling the cracks and “healing” the plastic or circuit. He also developed microcapsule technology to make lithium-ion batteries longer-lasting and less likely to rupture or burst into flame. Not content to be limited to one self-healing pathway, White’s group developed vascularized materials – composites filled with microfluidic channels, much like a biological circulatory system. The vasculature enabled his group to further develop plastics that not only heal cracks, but also can regenerate missing portions. See a video of White discussing the work. White’s group also explored the use of mechanophores – materials that change properties under mechanical stress – to develop polymers and coatings that change colors to indicate damage, strain, cracks or scratches. Most recently, the group developed a polymer-curing process for manufacturing strong, lightweight parts for airplanes or vehicles using tens of millions of times less energy. White was born in Kansas City, Mo., grew up in Harrisonville, Mo., and after high school graduation, attended the Missouri Institute of Science and Technology to obtain his B.S. in mechanical engineering. He obtained his M.S. in mechanical engineering from Washington University in St. Louis, and his Ph.D. in engineering mechanics at the Pennsylvania State University in 1990, joining the faculty at Illinois the same year. He held more than 40 patents and co-founded two startup companies. He received widespread recognition for his work, including a Humboldt Research Award in 2013, the American Society for Composites Outstanding Research Award in 2014, and Scientific American magazine's “SciAm 50” award in 2007. He also received multiple teaching and mentorship awards for his work with students and was the Donald B. Willett Professor in Aerospace Engineering at U of I. A celebration of his life was held at the Beckman Institute on June 3, and was attended by a large number of current and former students and members of the Autonomous Materials Systems group that he led for two decades. White is survived by his wife Nancy Sottos, a professor of materials science and engineering, three children, two grandchildren, his parents and two grandparents. Remarks from Philippe Geubelle, Bliss professor and head of the Department of Aerospace Engineering, at the Beckman Institute celebration of life for White on June 3. When I arrived at Illinois in January 1995, on my very first day at the office, like many new assistant professors, I was quite lost not really knowing how to start my academic career. I happened to meet Scott in the hallway on the third floor of Talbot Laboratory. I must have looked really lost because, right then and there, he invited me to join him and Chuck Tucker on a proposal to the National Science Foundation. The project was on the development of residual stresses in composite materials. They surely did not need me. Scott was taking care of the experimental part, and Chuck was more than able to handle all the modeling work. But Scott felt it was his job to help a young faculty member, and he simply invited me to put my name on the proposal. All I had to do was to give him my two‐page bio and my current and pending support, which was then non‐existent. I often use this episode for prospective faculty members to illustrate the “Illinois way,” the way we work together on this campus, but it is clear that Scott went the extra mile on that day. 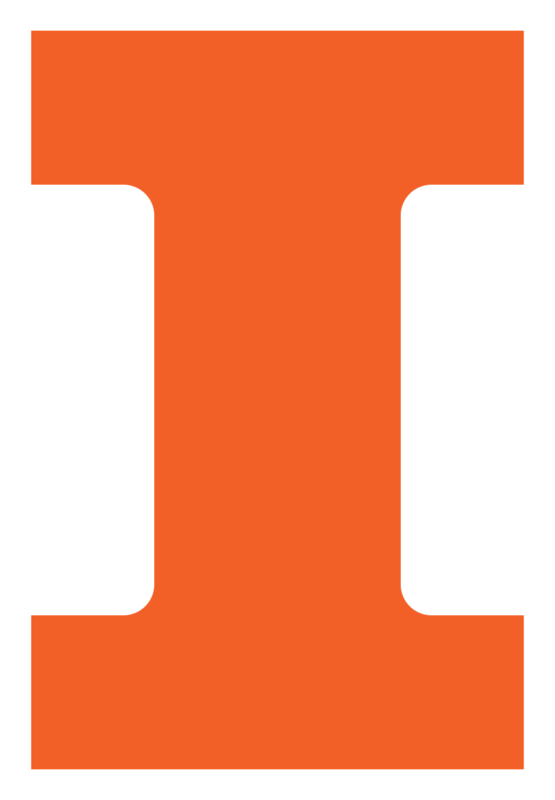 Well, this proposal was funded, and we started a collaboration of 23 years that has shaped my career, but more importantly, it started a friendship that has shaped my life here in Champaign and makes this day particularly painful. Those of you who have had the chance to work with Scott know how energetic and creative he was. I could spend a lot of time detailing all his professional accomplishments, but that might take way too long. Let me simply say that, from the time he joined our campus in 1990, Scott built through his vision, creativity, and energy the world’s top research group in multifunctional composite materials. He led the group that proposed and ‐ more importantly ‐ demonstrated the concept of self‐healing materials, of batteries that shut down autonomously when overheating, of self‐repairing electronics, of microvascular composites, and, more recently, of a completely new way to make composite materials that uses a fraction of the energy and time used by current methods. His colleague and friend, Jeff Moore, said it so well when he introduced Scott as he was inducted as Willett Professor of Engineering: “In his research, Scott has absolutely no fear.” It was so true. While many of us sometimes feel reluctant to enter a new field of research, Scott would embrace it. I still remember how he started to work on batteries. He had never worked in this area, so he simply asked one of his students, Marta Baginska, to open one of them to see what was in there. That’s how they started to work together. By the time she completed her PhD, Marta made some nice contributions to the field and is now very successful at Boeing. Marta is just one example of the many success stories Scott has had with his students. Beyond his many scholarly contributions, beyond the companies he co‐founded, beyond the papers, the citations, the h‐index and the patents, I am absolutely convinced that Scott would agree with me that his most important legacy are his students. He was not an easy mentor, but he had a truly remarkable relationship with the students who worked in his group and called him “Bossman White.” It is not surprising that he is probably the only faculty member on this campus who received the campus awards for excellence in both graduate and undergraduate research mentoring. It is also not surprising that many of his former students came back to Champaign from all over the country and sometimes from abroad to attend the yearly picnic of the White and Sottos’ groups and to be here today. Thank you all for being here. I know that your presence here today means a lot to Nancy and to the rest of the family. Scott was very proud of the accomplishments of his students. A few weeks ago, although he was quite sick, Scott was able to take part in the campus hooding ceremony, where he got to hood three of his PhD students. I know how glad he was that he got to do this one more time. An even bigger source of pride for Scott are undoubtedly his children. You should have heard him talk about how proud he was of Amy’s professional successes. You should have seen him literally dance when Evan graduated from our department and got a job in Chicago. You should have seen the smile on his face when Audrey got her degree from Cornell (although I must admit he was a bit surprised she got credit from sailing on the Pacific Ocean for a practical course on marine biology). Scott was even bragging about their successes in high school cross‐country by posting their times and the newspaper articles about them on the door of his Talbot office. And although we teased him a bit for it, telling him that he was way too young for that, he was very proud of becoming a grandfather. The last few years have been very hard on Scott and his family, as he was battling cancer. The dedication that he displayed for the department, for his students and for the AMS group while battling the disease was truly amazing. He was lucky to have at his side a remarkable woman, his wife, Nancy, whose love and strength carried him through the many surgeries, radiation treatments, and chemo‐therapies he had to endure. Through their entire academic career, Scott and Nancy have made a great research team, sharing similar research interests but bringing complementary skills, he specializing in macroscale testing, she as a world expert in small‐scale experiments. By becoming partners in life four years ago, they extended their collaboration to other topics such as good food (you should all know that Scott was a great cook), good wine, and traveling. I will always remember a great trip that Scott, Nancy, and I took to Switzerland on our way to a conference in Turin, Italy. I truly enjoyed spending a day with them on the ski slopes. Although Nancy, like my wife, tended to prefer the hot chocolate breaks at the restaurant, Scott showed on his skis the same level of fearlessness he displayed in his research. It was not elegant, but he surely was not deterred by the difficulty of the ski run. I will cherish this and many other memories of my many years with Scott as a colleague and as a friend. Nancy, Amy and Jon, Evan, Audrey, Ray and Connie, Barbara and Charlie, and all the other family members, may your own memories of your times with him help you through these difficult times. And please accept the most sincere condolences from me, from my wife, Nancy, and from the entire Aerospace Engineering Department.